on May 4, 2011 at 9:49 am Tana B. Thank you for the wonderful article about Allison. I was a college freshman in Indiana and was active in protesting the Vietnam war. My college years were the best of life. My friends were heart broken when the shootings took place at Kent State, they locked our campus down. I always wondered about the students who were shot and I feel like I know Allison just a little bit throught this article. All we wanted at the time was peace !!! Thanks a lot for putting this on youtube. I was a student at the University of Connecticut on May 4, 1970. I remember this day well and the days leading up to The Kent State killings. This cover up still really bothers me even after 41 years. The US government has covered this up and swept it under the carpet as it does so many other things. To tell you the truth I wonder how much President and Mrs. O’Bama actually know of actually happened that day at Kent State. Be that as it may once again thanks again to you Jennifer and Laurel. I have grieved for Allison since she was murdered. People ask me why Allison and not another of the victims. The reason is that Arthur Krause went before the cameras that day in 1970 and made a statement that caused me to feel what he was feeling. I have waited all this time for a serious investigation of the tragedy, and I sometimes despair. As for those of you who knew Allison, be assured that there are millions of people like me, people who never met her, who share at least some of the burden you bear. God rest the soul of Allison Krause and may her killer get the death he deserves. 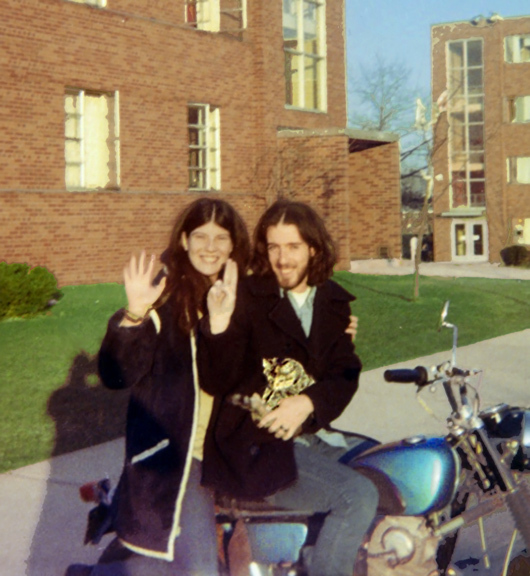 Thank you dear readers and friends, MendoCoastCurrent is chock full of stories about Allison Krause, one of four protestors and students killed on May 4, 1970. Please take a look around and enjoy.